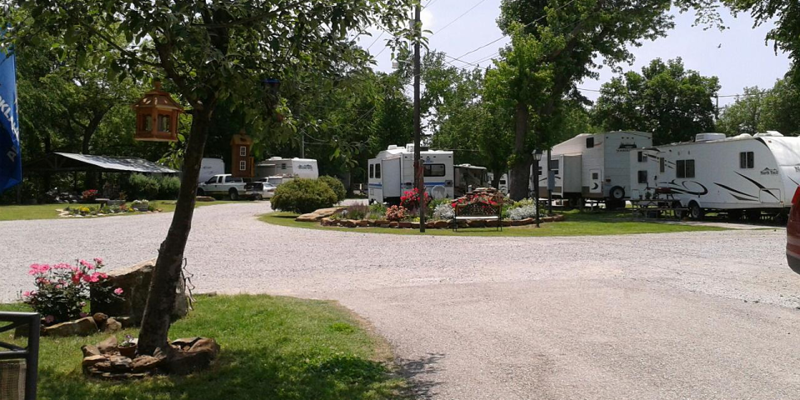 Riverside RV Resort and Campground is a very nice park. The owner, Robin, was very accommodating and the park staff worked hard to make our stay enjoyable. For a mid-size park the sites are level and spacious. They have 68 sites, full hook-ups, pull thru’s, and 20-30-50 amp service. Amenities include laundry facilities, showers, free cable TV, a gift shop, swimming pool, a climate controlled recreation room/clubhouse, and free high speed wireless internet. This is our second time to stay here and we recommend it for a night or a week, as we did. And if we are ever back this way we will stay here again.